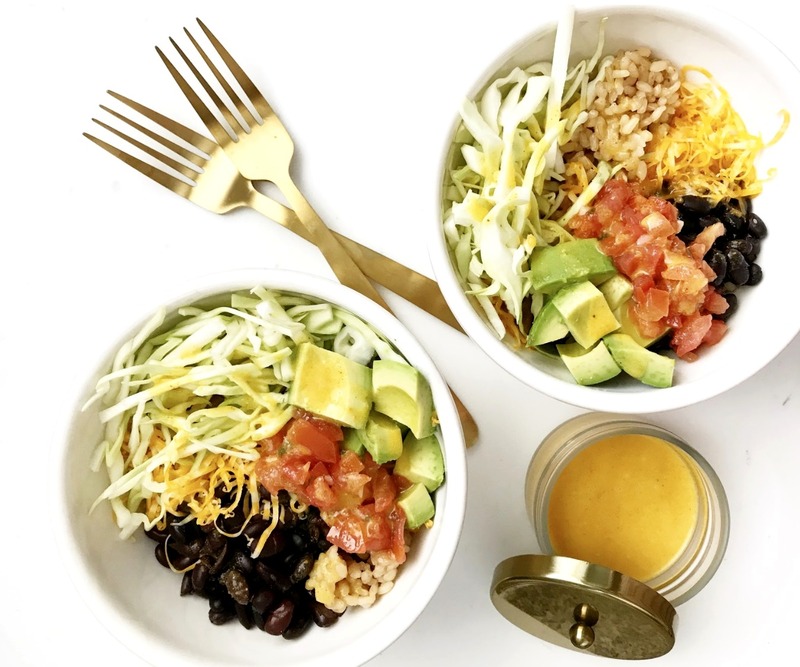 Healthy bowls are all the rage these days and we can’t wait to share this amazing Vegetarian Buddha Bowl with you all! Meg and Coral from MegandCoral.com are making cooking more enjoyable these days. Meg is a chef and Coral is a designer and they both are busy moms that need quick and easy go to meals. Bowls are a fast and easy way to do breakfast, lunch or dinner. It’s also a great meal prep item because you can easily make extra, put everything in airtight containers and eat it throughout the week. This bowl is adapted using the Formula Cookbook, which takes a recipe (example the bowl recipe) and turns it into a formula. The formula helps you adjust and substitute ingredients to fit your dietary needs, food allergies or if you run out of a particular ingredient. The original recipe from the cookbook is a salsa verde quinoa bowl (which is an amazing recipe by the way). But I have been trying to eat one vegetarian dinner a week to cut down on my meat intake, so this vegetarian Buddha bowl is what I crafted up using the formula from the cookbook. It was so easy to adjust and it’s fun to be creative! If you are in the mood for a healthy lunch or dinner option without meat you got to try this recipe. You can even make extra to meal prep for some lunches during the week. It only takes about 10 minutes to make if you use quick cooking rice. Hope you guys enjoy! Place one cup of rice in the bottom of your serving dish. Place 1/4 cup black beans on one side. Add 1/4 cup cheddar cheese, 1/4 cup cabbage, 2 tablespoons pico, and 2 tablespoons avocado to the bowl. Repeat with your other bowl. In a small mixing bowl combine all sauce ingredients and whisk to combine. Drizzle with desired amount of sauce. Enjoy!